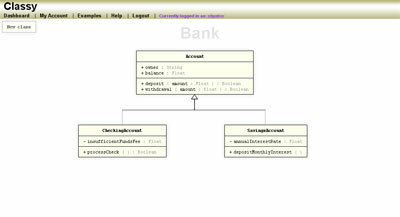 Classy can be used to create UML class diagrams. It has been mainly designed with object oriented modelling in mind however it can also be used for basic conceptual modelling. 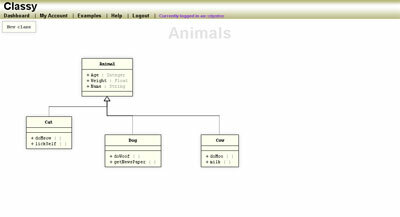 If you would like to learn more about UML and class diagrams there are many great resources online, beginning with Wikipedia. 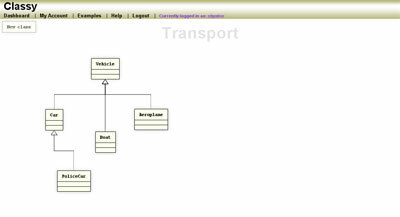 To begin creating class diagrams with Classy click Join / Login. You can quickly sign in with your Twitter or Facebook account or if you'd rather you can create a manual account.